Community Educations located through out Falkirk, provide local groups with a venue in which to practice their disciplines, playing host to a vast array of groups from documenting time to junior highland dancing, these centres play a vital part in youth development and preservation of their community. Serving their local area these centres open entire community allow inhabitants to participate in social, educational and leisure time activities. These locations are the first step in which art groups can set up a consistent venue for practice. 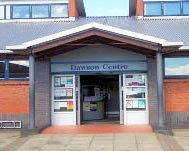 Below is a list of the community centres around Falkirk district.